When I came to Piscataway, the Hardware Engineering Manager, Al Parsons, called me into his office. He had a problem Piscataway saw the handwriting on the wall. DRAM was the future, and core memory was going away. But Piscataway needed to convince their biggest customer, Mission Viejo, that they could build a reliable DRAM memory. He asked me if I could work with his top engineer, Reese Brown, a legend in the memory business, on a solution. After studying the history of the first DRAM project, visiting Mostek and Intel, and talking to Burroughs engineers in Mission Viejo, I came up with a solution for the problem. 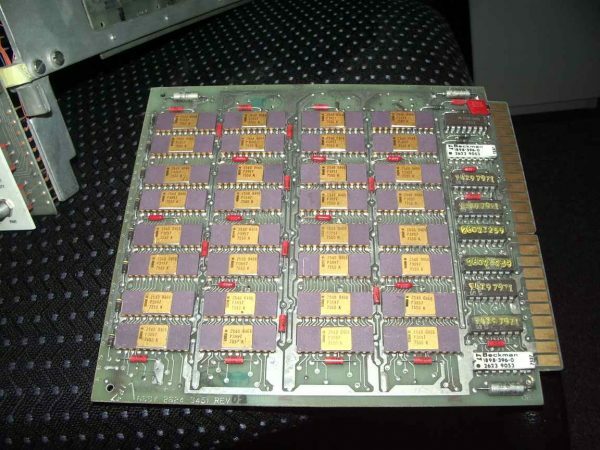 DRAM was not like core, and if you interfaced it to a mainframe like a core memory, you are going to have problems. That is exactly what Piscataway did in the first design. The cabinet interfaced to the CPU just like a core memory, but it was not a core memory. I proposed that Piscataway design a new memory controller in the cabinet that would take into account the soft error properties of DRAM. While this would increase the cost of the memory a little, it would still be far less expensive (especially with the new 4Kb DRAM chips) than core memory. I was invited to fly to Mission Viejo with the Piscataway Plant General Manager, Al Parsons, and Reese Brown. I was going to give the presentation to Bob Merrill and Erv Hauck. I had met Bob before when he interviewed me for the Burroughs Scholarship, but I had not met Erv. Erv had the reputation for being a very tough guy. He was an ex-marine, was self educated in engineering, and had been involved in the design of several mainframes like the B6500 and B6700. After I gave my presentation, Bob Merrill asked some tough questions on cost and some of my numbers, but he was not a technical guy. Erv was going to make sure this whipper-snapper from MIT knew what he was talking about and gave me quite a grilling. I was impressed with his knowledge and common sense. During the discussion between the managers afterward I had the nerve to interrupt and was put in my place by the Piscataway General Manager. Later, Erv ran into me and made it clear I had clinched the deal for future DRAM memory, from then on we were great friends. He eventually was the Vice President of Engineering for my company, Future Domain until I sold it to Adaptec in 1995.